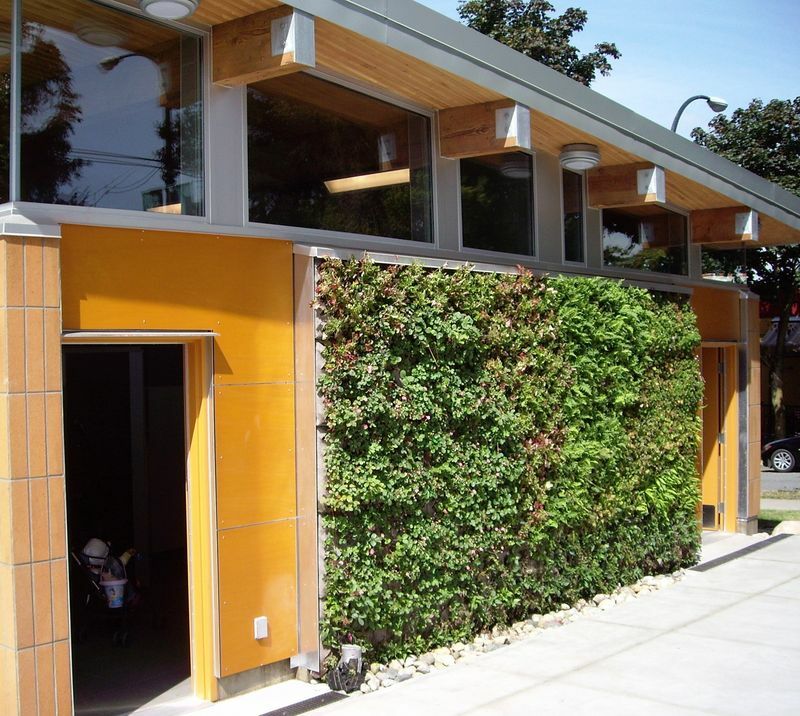 Always bursting with activity, Grandview Park is often the site of community activities, from picnics and plays to festivals and concerts. 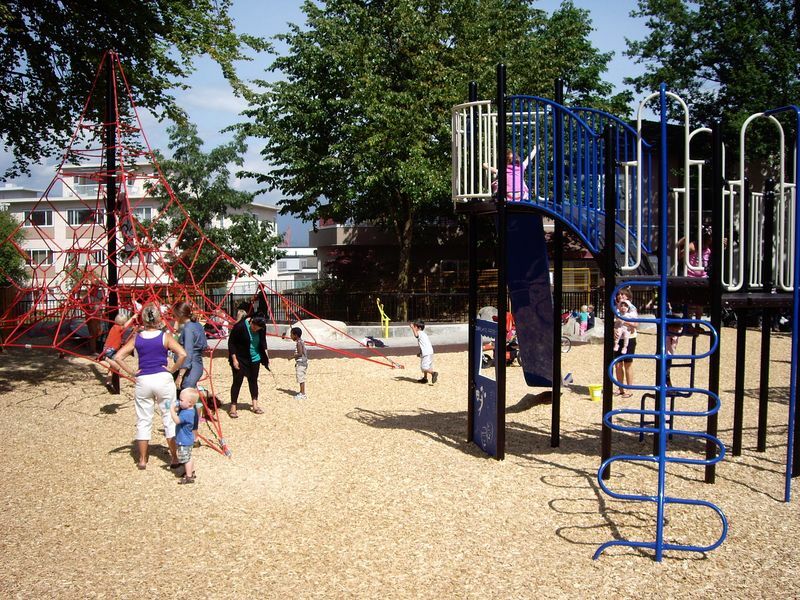 In 2011, the park was upgraded with a new playground, pathways, stage, sport court, field house with accessible washrooms, lawns, gardens and restored cenotaph area. The informal seating along Commercial Drive is well used. 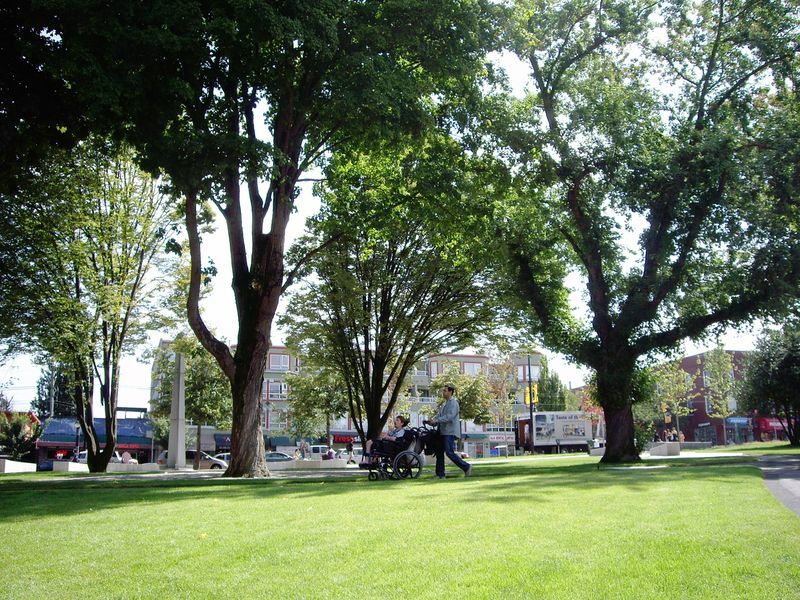 The park now has a large open grass area, and beautiful maple trees have been maintained and will continue to provide shade for the renewed park. 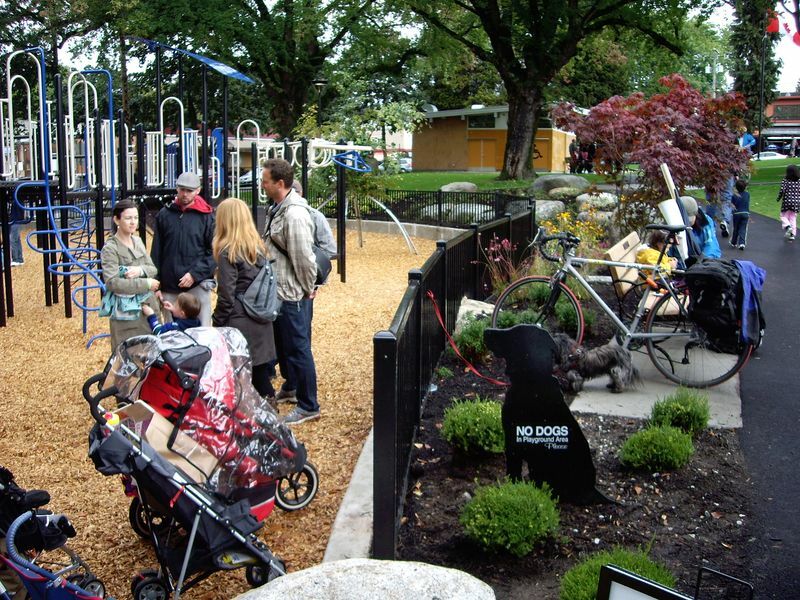 The playground has several fun features, including a very large boulder that allows children to climb up one side and down into a net on the other; a log 'table' which comes from a 537-year-old cedar tree that blew down in Stanley Park; and a sandbox with water. 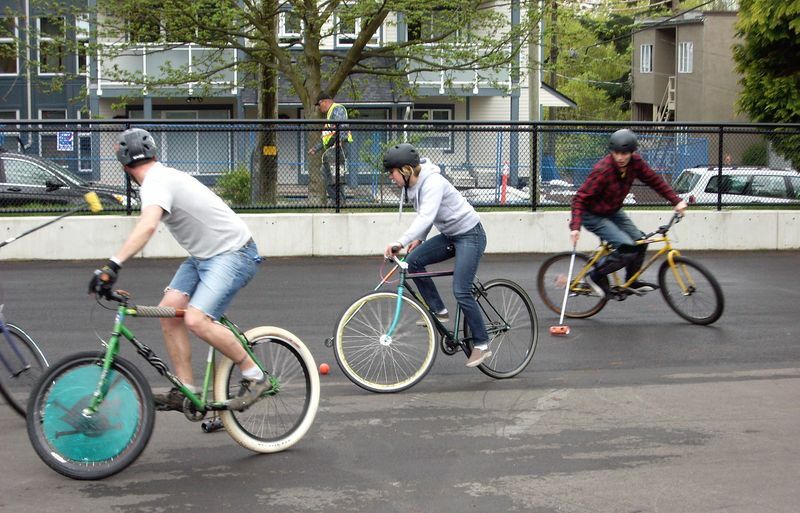 The sport court was built specifically to bike polo specifications—the first one in Vancouver—so enthusiasts now have a court that truly facilitates their sport. Originally the site of the Irish Fusiliers Drill Hall, it was purchased by the Department of Militia and Defense between 1911 and 1913. Following World War I the military’s needs changed and the site was abandoned. The area was leased to the City in 1929 and named for the Grandview neighbourhood. A memorial cairn was located on Grandview Park until its replacement by a new war memorial on November 11, 1959.